Sonoma County Mortgage Broker: Shannon Tracey with Cypress Financial | Cypress Financial Mortgage and Investment, Inc.
Shannon Tracey is a native Sonoma County resident. She attended Piner High School and graduated from Sonoma State University with a Bachelor of Arts in Economics. She obtained a Real Estate certificate from Santa Rosa Junior College and a Real Estate brokers license from the California Bureau of Real Estate. 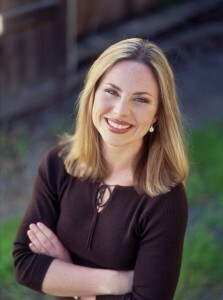 Shannon has been active in Sonoma County real estate for 20 years. She worked as a Real Estate agent for a few years and has been with Cypress Financial for 18 years as a mortgage consultant/loan officer. She worked for Bank of America as a branch manager prior to joining Cypress Financial. In addition, Shannon is experienced in renovating homes. Shannon is active in community affairs. She is a Past President of the Active 20/30 Club of the Redwood Empire as well as a Past President of the Redwood Empire Mortgage Lenders Association. She is an avid supporter of the Sonoma Humane Society where she is on the Board of Directors. Cypress Financial Mortgage & Investment, Inc.